A pilot project aimed at reducing the rate of children being taken into foster care is continuing in a Manitoba First Nation after a significant number of families involved were reunited with their kids. Fifteen recommendations, including fast-tracked entry into treatment programs for parents, have been developed to maintain and improve the Circle of Care program in Sagkeeng First Nation, according to a recent evaluation report obtained by the Free Press. The project began in February 2015 with the goal of supporting families in the community and cutting down on an increasing number of child-welfare cases that were winding up in court. Since then, about half of the families who participated in the pilot project have had their children returned to them. The project was born in the wake of the tragic homicide of 15-year-old Tina Fontaine, who was from Sagkeeng and had been in care before her death. Representatives from Manitoba's provincial court, Sagkeeng chief and council, Sagkeeng Child and Family Services and the local health centre met to discuss the increasing number of children who were being removed from their families and placed in foster homes — often outside the small community. At the time, the number of kids in care peaked at 443 — about 13 per cent of Sagkeeng's on-reserve population. Sagkeeng First Nation Chief Derrick Henderson said the community is continuing to offer the program, which he said has helped keep upwards of 50 children in Sagkeeng who would otherwise have been sent to foster homes elsewhere. "The project is something that I believe is needed in all the communities, that we try to get away from the court system to deal with the issue of children" in CFS care, Henderson said. "What we're doing in our community is diverting from the courts to the Circle of Care project, and the Circle of Care is a team of people from the community that the client chooses who is part of that circle, so that they're comfortable with the circle so that we can help them address their issues, whatever they are, so that the kids can remain with their siblings and with extended family," he said. "This is very community-driven, so if it's driven by the community, it shouldn't fail," the chief added. Of the 32 families — including a total of 109 children — who participated in the pilot project from 2015 to 2016, 17 families had their children returned to them, six families had been referred back to the child-welfare system because they failed to complete their Circle of Care case plans and some families were still completing their case plans. The evaluation report, released to Sagkeeng chief and council earlier this spring, found that substance abuse and neglect were the main reasons for children in the community to be taken into foster care. As a result, the wait to get into treatment programs can be more than three months long, and the report writer recommends an agreement be set up with treatment centres to "fast track" Circle of Care participants. "Workers expressed frustration with extended waiting periods for families who were attempting to address their addictions. The frustration was exacerbated by the fact that nearly all of the families receiving services from the Circle of Care presented with substance misuse issues," the report states. Despite early issues with communication between agencies and a lack of established protocols for the program, the Circle of Care project made it more likely that participating families would be reunited with their children, the report concluded. With $70,000 and one liaison worker, the one-year pilot project aimed to give prompt community resources to families who had just had their children apprehended. The idea was that before their first child-protection court date, parents would be offered the opportunity to gather in a circle with their family, social-services organizations and other supports they invited to work out a plan to help put their families back together. Ideally, by the time the court date rolled around, families would have resolved the issue outside of the court process and wouldn't need to go to trial. Provincial court Judge Carena Roller helped get the pilot project off the ground when she was presiding over child-protection trials in Sagkeeng. She said the project is "more immediate, it's more personal, it's more humane," than the legal process it runs parallel to, helping to speed up child-protection cases. "As a foot soldier who was in the system and was sitting in child protection court in Sagkeeng, I had long since hoped that we could come up with a way to be more efficient in what we were doing. So when the conversation started, everybody kind of quickly jumped on board to say, 'Yeah, let’s try something different,' " she said. "Sagkeeng was an ideal community to try it in. "It’s not just the family, it’s the community who’s stepping up," Roller added. When "your children are taken away, you often feel like you’re absolutely alone with no supports and no options, so that’s what we want to prevent from ever starting. We didn’t want them to ever feel abandoned." Roller said she hopes similar projects will take off in other Manitoba communities — Sagkeeng's followed the example of programs like the one in Nisichawayasihk Cree Nation (Nelson House) — but they aren't intended to replace the legal process for child-welfare cases, the judge said. "I think it’s important that we maintain our system. We can’t ever not give families an option where they can litigate — they can just say, 'No, the (CFS) agency is wrong and I want my day in court,' " Roller said. "But if the families that don’t need that ultimate decision-making can work it out, that’ll give our system more breathing room. It’s a much more holistic, it’s a much healthier way to resolve child protection than trials are, so I think we’ll need them both." 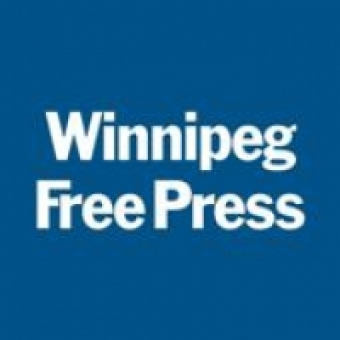 In response to long delays in child-protection cases — which the province's highest court has deemed "unacceptable" — Manitoba has implemented new trial deadlines for family court cases. The new scheduling system, which began in March, aims to have all child-protection cases completed within three to six months.